When the Chrysler Pacifica is driven on streets and highways, its features are noticed. The standout exterior features provide helpful benefits during the day and night. As you drive a Chrysler Pacifica in the morning or afternoon, its Daytime Running Lamps will shine. These lamps have a signature style because they're powered by LED bulbs. Thanks to the high-intensity discharge technology, these headlamps produce bold, bright, constant light throughout the day. After the sun sets, you can fill the cabin with cool air by opening the sunroof. The main panel is positioned directly in the center of the cabin, so each passenger will feel cool breezes as currents drift through the roof. 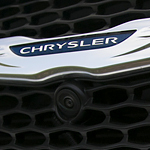 Courtesy Chrysler Dodge Jeep Ram has many Chrysler Pacifica vehicles for sale, and test drives are available. We arrange test drives in the Pacifica on local streets in Altoona. Our test drives are educational because they help locals better understand key automotive features.